The Trans-Atlantic Alliance was formed even before the infamous attack on Pearl Harbor. In August 1941 British Prime Minister, Winston Churchill, met with President Roosevelt on board the King George V Class Battleship, HMS Prince of Wales, in Placentia Bay Newfoundland; this Atlantic Charter Conference was the first meeting between the two English-speaking leaders in what was emerging as the "Grand Alliance" against the AXIS powers. From this point onwards British and American strategists began working together in earnest to formulate a path towards the invasion of Europe. Soon after America entered the War, military planning began for the Second Front. In December 1941 Prime Minister Churchill, boarded the battleship HMS Duke of York to meet with President Roosevelt. At the Washington Conference in January 1942 the two World Leaders established a "Germany First" policy and jointly agreed to form the Combined Chiefs of Staff to co-ordinate Allied War Planning. The Atlantic Bridge was formed as war material and troops were poured into the Port of Liverpool where the Western Approaches Command was based. At the end of 1941 Field Marshall Alan Brooke was appointed Chief of the Imperial General Staff - CIGS. "Brookie" was the foremost of all Heads of the British Army. 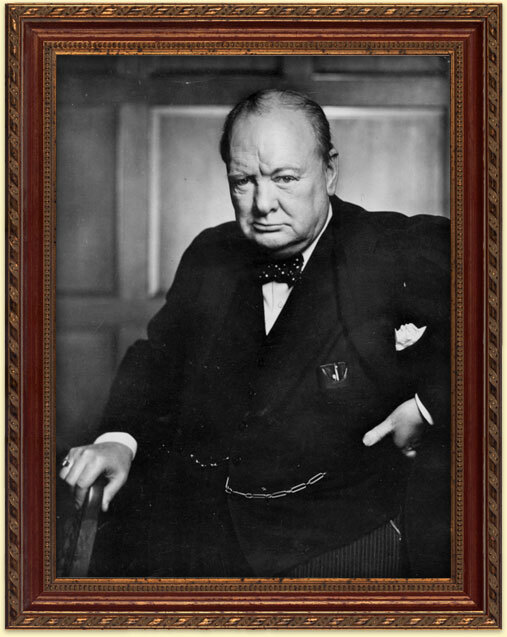 His influence on the Allied grand strategy was strong, perhaps the strongest of any individual. Among the most important of his contributions to the course of the War ranks the delaying of the Second Front. The partnership between Brooke and Churchill was a very successful one. The combination of Churchill's vision and Brooke's down to earth, strategic method of running the war powerfully contributed to victory. Churchill's preferred strategy was to nibble at the edges of the Third Reich until the United States could join the British effort. He and Brooke were in harmony on this point at least, in the need to postpone invasion until the enemy’s strength had been sufficiently reduced, seeing strategic attacks against German controlled North Africa and Italy as vital before proceeding with a major invasion of France. Brooke believed passionately that the timing of an invasion of Europe had to be right. All equipment and manpower must be in place alongside meticulous planning to minimise casualties & offer the best chance of success. From long experience he respected the enemy’s strength and resourcefulness, matching this with an awareness of the overwhelming military challenge of an opposed landing on a heavily defended and wide front. In timing of the invasion there was no room for "gung-ho" the natural aim was the Summer solstice to maximise hours of daylight so it would truly be "the Longest Day". To a large extent the Americans concurred with Stalin, expressing their view that bombing of Germany alone would not win the War; it would take troops on the ground, in Europe, to achieve total victory. At the Casablanca Conference in January 1943, Churchill and Roosevelt agreed to make 1st May 1944 the target date for invasion of Europe. The Combined Chiefs considered two main invasion sites: the Pas de Calais, at the English Channel’s narrowest point of only 26 miles, and Normandy further west. Exploiting superior British Maritime Power, they agreed on Normandy; it was less obvious and, according to reconnaissance, less heavily defended. "...a champion of inter allied co-operation… a charming personality and good co-ordinator, but no real commander." "I am in this thing with you to the end, and if it fails we will go down together." In due course the Chief of the Imperial General Staff, Field Marshall Alan Brooke, gave way to General Dwight Eisenhower who became the Allied Commander of the Invasion of Europe. Eisenhower’s base was Southwick House in Portsmouth; largely from here he ran the Supreme Headquarters for the Allied Expeditionary Force, commonly known as SHAEF. Eisenhower’s skill was in diplomacy, managing well the challenges of keeping the Allies together in the face of this monumental challenge. He had limited military experience and left much planning and administration in the hands of his Chief of Staff, Walter Bedell Smith, whom he promoted to Lieutenant General in January 1944. The component commanders were all British. Ground forces were commanded by General Bernard Law Montgomery, Naval forces by Admiral Ramsay and Air Forces by ACM Leigh-Mallory. The original D-Day plan involved landing three divisions on the Normandy coast in the Caen-Bayeux area, with a simultaneous airborne assault on Caen. This template was later expanded by General Montgomery in charge of allied ground forces. Since the whole invasion force could not land simultaneously, Montgomery decided that too few troops had been allocated to the initial attack, and directed that five divisions, from East to West: British, Canadian, British, and then two American, would form the first wave. This expanded plan included five divisions of 150,000 men in the main seaborne assault. Their flanks would be protected by three airborne divisions, the British 6th to the East and the US 82nd & 101st to the West. 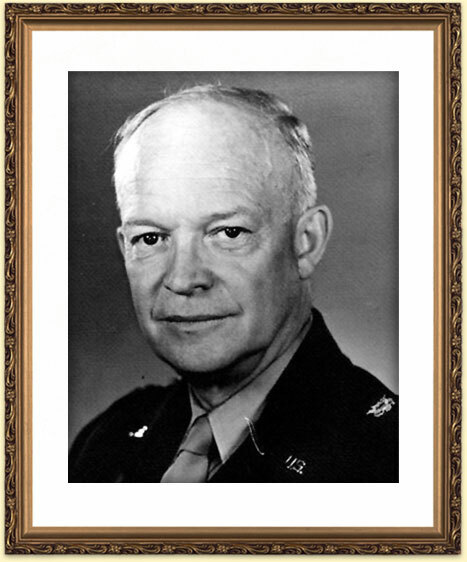 Dwight D "Ike" Eisenhower (1890-1969) was appointed Supreme Allied Commander of the Expeditionary Force in February 1944. 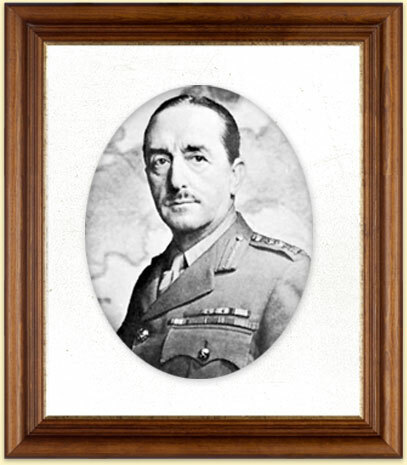 Sir Arthur William Tedder (1890-1967) was appointed Deputy Supreme Commander, and craving more responsibility, later wrested control of the Air planning from Leigh-Mallory. 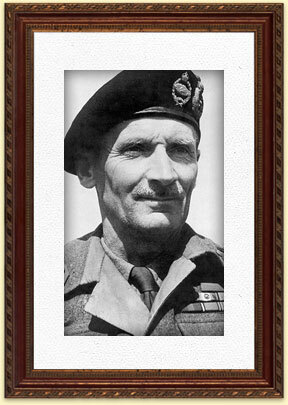 Sir Bernard Law Montgomery (1887-1976) was named as Commander of the 21st Army Group, to which all ground forces belonged. 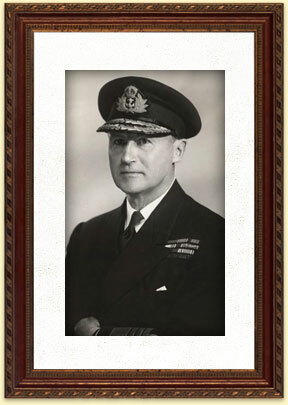 Sir Bertram Home Ramsay (1883-1945) was appointed Naval Commander in Chief of the Allied Naval Expeditionary Force. Omar Nelson Bradley (1893-1981) was named Commanding General of the substantial US 1st Army, which alongside the British 2nd Army made up Monty's 21st Army Group. George Smith Patton Jnr. (1885-1945) was placed in command of the US 3rd Army on 1st August 1944, after the Normandy Invasion had begun. 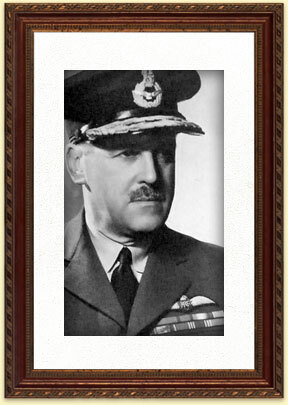 Trafford Leigh-Mallory (1892-1944) was Air Officer Commanding (AOC) No. 12 (Fighter) Group in the RAF throughout the Battle of Britain, and in 1943 was selected to be Commander in Chief of the Allied Air Expeditionary Force. Written content copyright © John Phipps 2012 All modern day photographs © Victoria Phipps unless specified otherwise.